This was my first non-sample embroidery & I’m pretty happy with it. Plus it was on stretchy fabric which is a little trickier. I’m not working on another embroidered present that I can’t show & of course the never ending wedding blanket, its to the point now where it almost covers my toes while I knit it. Yesterday we went bowling for Daria’s birthday & it was also our friend Andrew’s so I have fun making cupcakes celebrating them. 12 years ago by Kat in Embroidery , Needlecraft | You can follow any responses to this entry through the RSS feed. You can leave a response, or trackback from your own site. 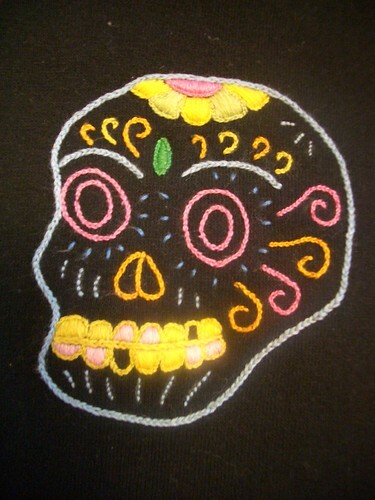 Wow, that embroidery is awesome. I can knit like crazy, but embroidery hates me. And I’m laughing my but off at those cupcakes, you have a very lucky friend! That’s fantastic! I love how colourful it is. It looks great on the black background. 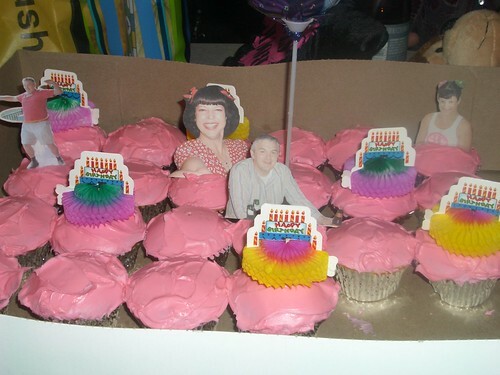 holy crap- these cupcakes rock! I love the idea and may just have to borrow it. 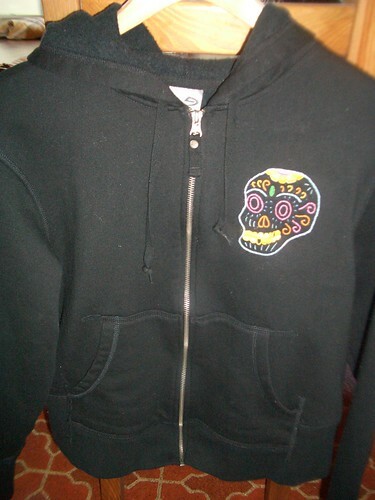 nice job on the stiching- very nice. Those are the greatest thing I have ever seen! Picture cakes! Unbelievable! You rock! 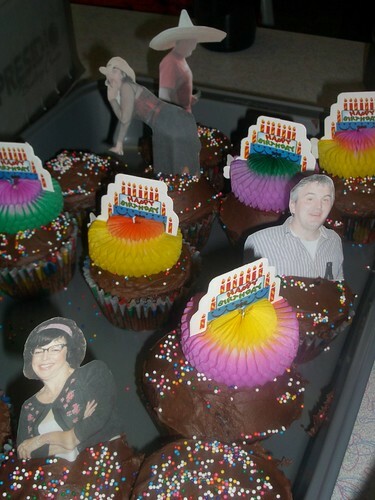 OK, those cupcakes are TOO funny…Oooooh, you just gave me a GREAT idea for embellishing the Costco cheesecakes @ Hubby’s upcoming 40th bday bash (yes, I got me a younger man). love them cakes, and the embroidery is AWESOME!